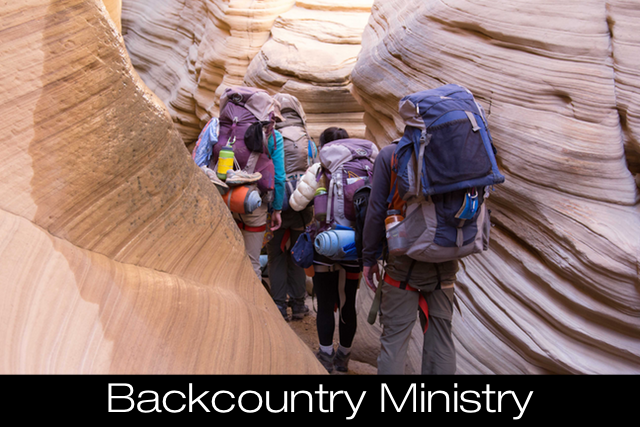 We are committed to teaching through the scriptures to give the whole counsel of God (expository teaching). We teach for life change so there is a strong emphasis on practical application so that we are different people come 8am Monday morning. We don't teach to inform but to transform so we grow to be more like Jesus. Click here to find out more about what we believe. We love to worship the Lord through music when we are together for our weekly church services. Our worship is God-centered and meant to engage our hearts in response to all that God is and all that He has done for us. Our worship style is more contemporary but is loved by all ages in our church family. If you're on Spotify, you can subscribe to a playlist of songs we sing corporately. Click on the icons below to access the song list and to find the songs we sang last week. Click here to go to our Leadership page to learn more about the pastors of Mountain View Community Church. 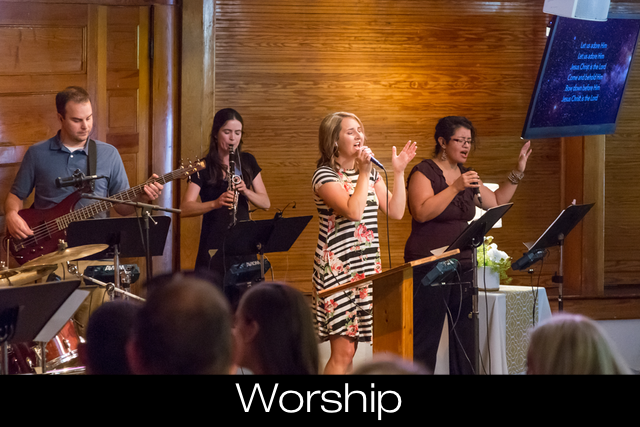 Mountain View Community Church currently has three weekly worship services - Sundays at 8:00am, 9:45am & 11:30am. All of our church services have the same teaching, worship and have a mix of people from all stages of life. 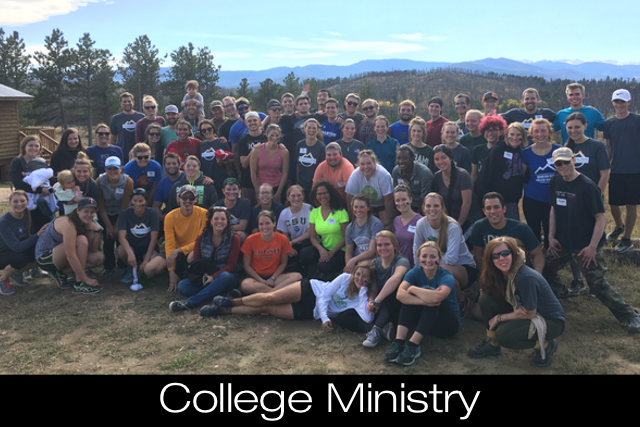 Many from our college ministry attend our 11:30am church service. We offer rides from CSU for the 11:30am service (click here for details). Have an infant or children? 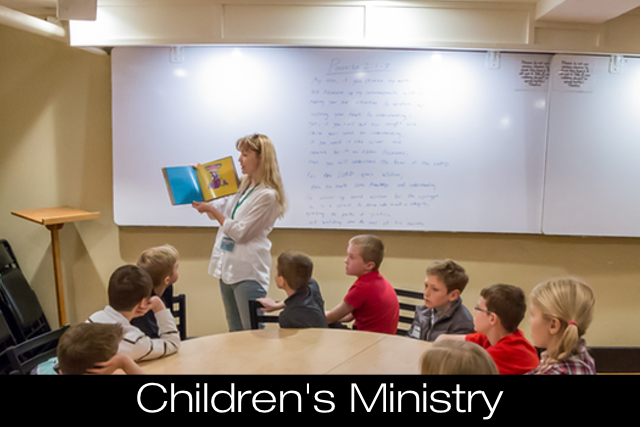 We offer children's ministry up through 5th grade during all 3 services. 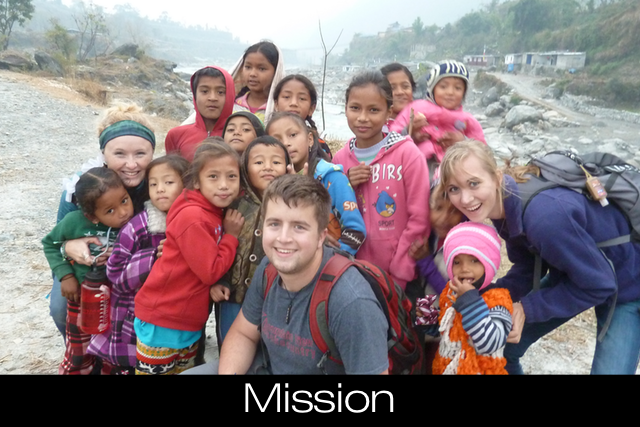 Click here to find out more details about our Nursery and Children's ministries! 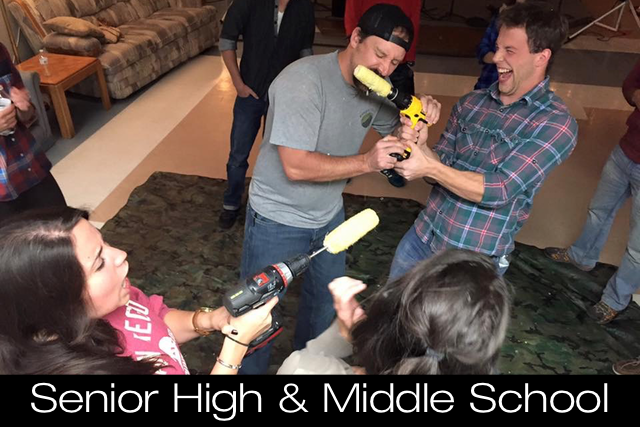 Click here to find out more about our student ministries for Middle School, High School and College Students. We do not have our own parking lot but the downtown area has many public parking opportunities that are very close to our church building. 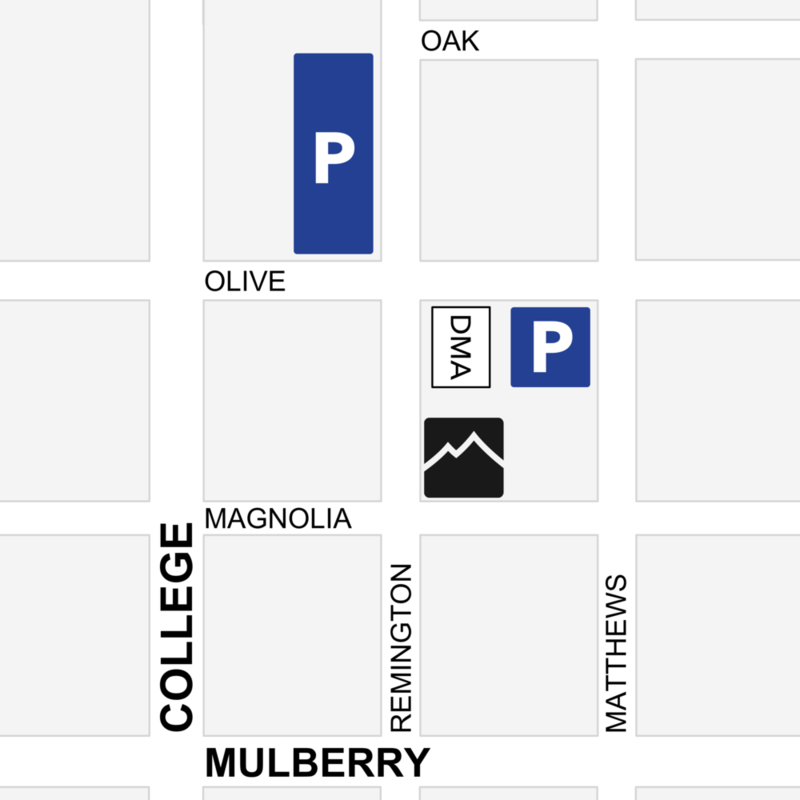 Street parking is available along Magnolia, on areas of Remington and along many streets east of the building. There are also two large public lots within 1 block (see map below). It's always a good idea to plan on a couple of extra minutes for a brief walk to the building when attending a service. Nearby 2-hour public parking lots - Northwest corner of Remington & Olive, and southwest corner of Matthews and Olive.